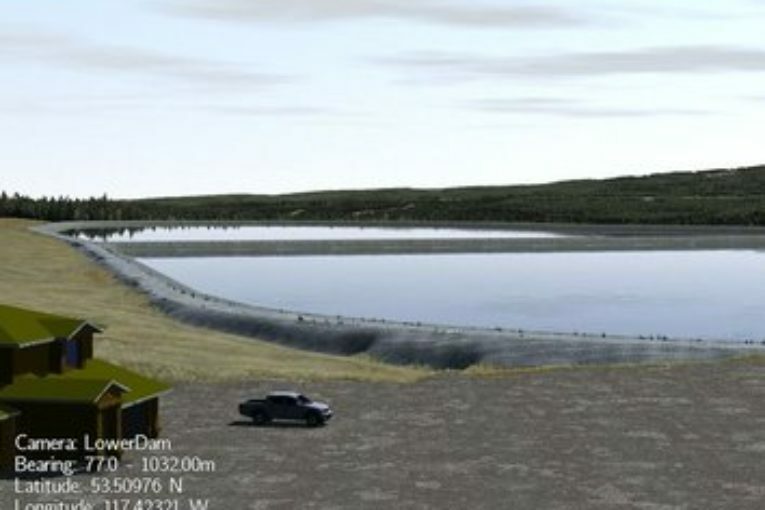 CALGARY — A clean power developer has received regulatory approval for a stored hydro project to be built on the site of a retired open pit coal mine about 60 kilometres east of Jasper National Park. The multimillion-dollar facility will consist of two new 40-hectare water storage ponds and a five-kilometre two-to-three-metre-wide connecting pipeline. At night, when power demand is low, water will be pumped from the lower to the upper pond, gaining 500 metres of elevation. When demand is high, the water will flow the other way, turning a turbine generator producing 75 megawatts for up to 37 hours at a time. CEO Kipp Horton of Calgary-based WindRiver Power Corp., the parent company of Turning Point, says he hopes to start construction on the project by next spring and have it operational by the end of 2020. The Canyon Creek project is to be located next to the former Obed Mountain thermal coal mine and will utilize its access road and high-voltage power lines. Operations at the mine were suspended in 2012 for economic reasons. In November 2013, one of the mine’s tailings dams failed, releasing an estimated 670 million litres of slurry into two creeks and on into the Athabasca River. The mine owner was handed nearly $4.5 million in federal and provincial penalties in 2017 for the spill.